The point of leather, dude, is to make an impression. One they won~t soon forget. Can you handle it? Really? 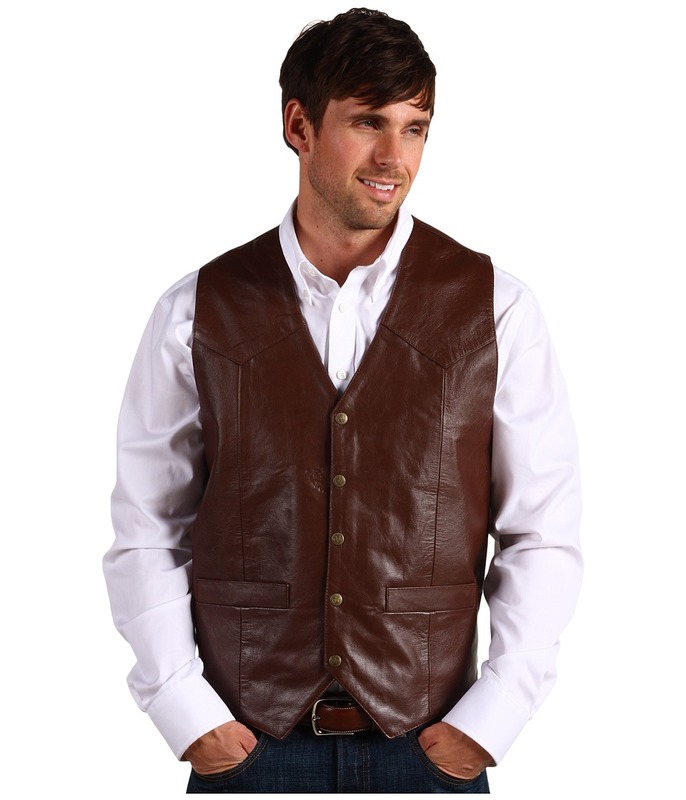 Then try this leather vest on for size, and we~ll see what kind of man you can be. Supple leather boasts a soft, smooth finish. V-neck cut. Five-snap front closure. Front point seaming at shoulders. Pointed, Western back yoke. Front welt hand pockets. Front hem is a classic vest point. An ideal riding companion for your worn-in jeans. 100 percent leather Lining: 100 percent polyester. Professional leather clean only. Imported. Measurements: Length: 23 in Product measurements were taken using size LG. Please note that measurements may vary by size.